At King Locksmiths, we offer locksmith services to people in the Marlow Heights MD area and the surrounding area in Prince George’s County. We are a full service and quality Maryland locksmith company providing residential, automotive and commercial and 24 hour emergency locksmith services. We understand how frustrating it can be to know you are locked out of the car with the only key in the ignition, or locked out of your own home on a cold night. Sometimes, lockouts can be merely inconvenient. Sometimes, they may seem more like an emergency. But whatever the case may be, we deal with it and are committed to providing our customers with fast, friendly and reliable locksmith service, and at a great competitive price. All of our technicians are expertly trained and highly skilled, each equipped with five plus years’ experience in this special field. You can count on them to solve whatever locksmith problem you are having so you can complete your day. 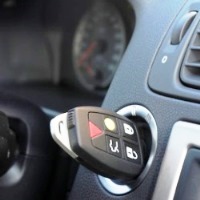 Have you had that awful sinking feeling that comes over you when you reach for the only keys to the ignition for your car or truck and then you become aware that they are in the ignition and the automatic locks mean you are locked out? If you thought a locksmith brings sweet relief with a lockout issue, King Locksmiths 24/7 services will quickly resolve these unexpected emergencies. In the Marlow Heights Maryland area, there’s no need to panic. Our team of expert technicians is only a phone call away. 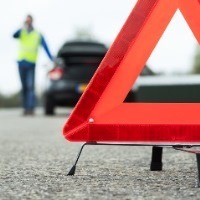 The professional assistance and fast response has you back on the road and on your way. This auto lockout service reduces your stress level quickly. The best surprise of our service is our fair pricing, no matter the size of the job. Our professional commercial locksmith services give our customers quality work and maximum security for businesses, industry, storage or local offices. There can be many reasons to look for an upgrade of your locks and security systems. One of the most important reasons is newer and more efficient technology. 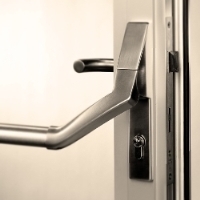 King Commercial Locksmith offers the most comprehensive and secure locks and systems. When it is time for your upgrade, make some time for our King professional locksmiths to investigate the newest types of locks in today’s security market. For the Marlow Heights area and all Prince George’s County, we offer reliable commercial locksmith service for all our customers at a highly reasonable cost without compromising quality. A commercial reputation has to be earned. King Locksmiths have a proven track record of success in Commercial Locksmith Services Marlow Heights MD area and surrounding areas. 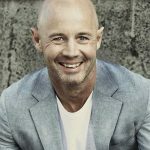 It is the reason large companies rely heavily on our excellent reputation. King Locksmith professionals are proud of their expertise and experience in this industry. We encourage all of our clients to use our consulting services to insure their completion time is cost effective and efficient. We have always maintained the highest standards of quality whether it is a master key or a full repair project. Our company offers any type of home locksmith service that will be needed and we are dedicated to taking care of the needs of the residents in Marlow Heights and all of Maryland. This includes improving the safety and security of your residence so there will be protection for your entire family at all times. After a break-in occurs, the damage is already done. Too many personal possessions are destroyed or stolen. We can help repair the damage including Door Replacement Marlow Heights MD services. However, we can help in preventing break-ins before they occur. We can come to your home and analyze the security and locks you currently have. We will then explain any other protection that can most easily be put in place and which will insure the ultimate level of protection that you need. Our technicians will professionally repair, install and re-key locks of all kinds for house owners. We can also install and repair high security and keyless entry locks. 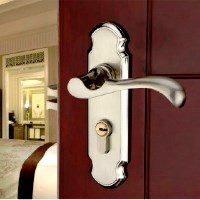 Keyless entry locks are a convenient and excellent entry door lock. With this type lock, no keys will be needed. You can enter your home with either a code, a key fob or a fingerprint. We will also provide lock changes or re-key services for new house owners and landlords to prevent former residents from gaining access. Choose our business as your professional Locksmith Marlow Heights Maryland consultants. When you’re looking for state-of-the-art assistance, King Locksmiths is the Prince George’s County locksmith to hire. A fast response is important, as is honesty. This is part of the quality King Locksmiths offers its customers. We are merely a phone call away. 24/7 Locksmith Marlow Heights Maryland Services https://kinglocksmiths.com/locksmith-marlow-heights/ 4.0/5 based upon 26 reviews.